Flutist, Brian Dunbar a native of St. Augustine, FL has considerable experience as a performer in virtually all aspects of professional performance including concerto, recital, chamber, solo, studio, and orchestral contexts. He earned a Doctorate in Musical Arts from Louisiana State University, a Master’s degree from the University of Michigan, and a Bachelor’s degree from Stetson University. He has been recognized in numerous competitions and is a regular featured soloist at the New Music on the Bayou Summer Music Festival in Monroe, LA. 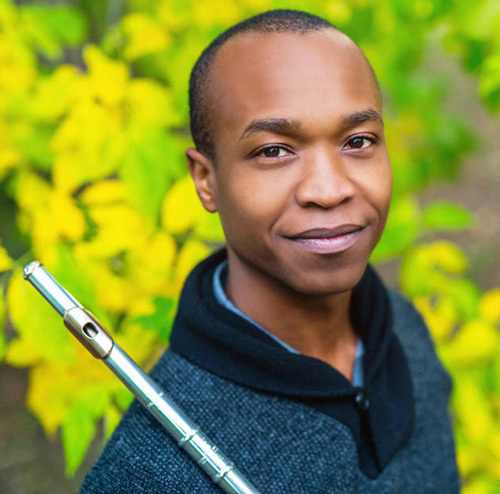 Kamyron Williams, of Tampa Florida is an active performer and chamber musician. 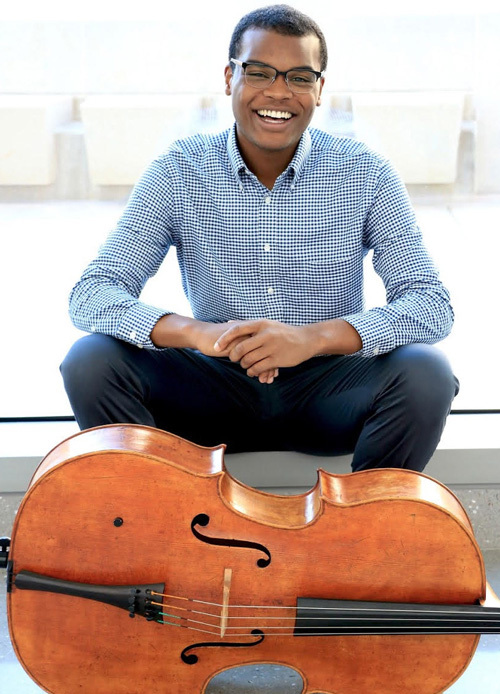 Kamyron earned his bachelor’s degree in Cello Performance from the Indiana University Jacobs School of Music, studying with distinguished cellist Eric Kim. At IU Kamyron was a member of various ensembles, collaborated with composers commissioning various new works and studied chamber music extensively. While also passionate about teaching youth, Kamyron is a cello teacher with Crescendo Detroit and Our Own Thing. Kamyron is currently pursuing his Master’s Degree in Cello Performance at the University of Michigan, under the tutelage of Anthony Elliott. Emma Terrell, a native of San Antonio, Texas earned her Bachelor’s degree in percussion performance from the Shepherd School of Music at Rice University. In 2016, she was awarded the Roy and Hazel Zeff Memorial Fellowship, funding a year of travel to study the small, but growing, number of women percussionists around the world to understand the changes in cultural and socio-economic trends that have allowed them to come together. Emma currently lives in Boston, where she is an active teacher and freelance musician with various contemporary ensembles in the New England area. Gabrielle Skinner is a violist and educator working primarily in New York City and New Haven, CT. A versatile and accomplished musician, she holds her Bachelor's degree from Cleveland Institute of Music and her Master's degree from Rice University. Gabrielle is currently a Diversity Fellow for the Orpheus Chamber Orchestra as well as the New Haven Symphony, and is passionate about working within her community to connect to students and their families through music.